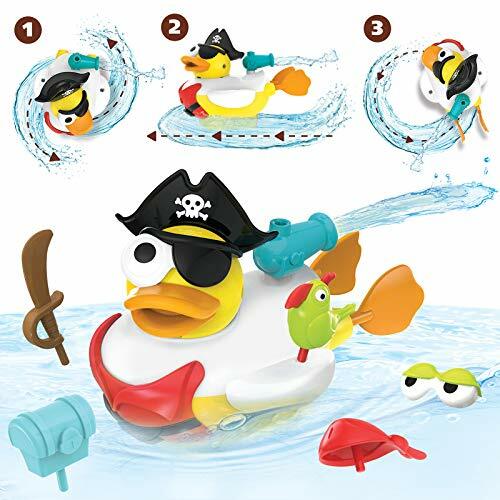 Baby bath toy featuring a Jet Duck Pirate from Yookidoo designed to bring your child hours of fun while keeping them engaged and happy while in the bathtub! The unique and innovative bath toy comes loaded with features including 15 different pirate themed accessories, so that every bath is a new adventure. Your child will love the battery operated swivel cannon that can be adjusted to make the duck swim in all different directions and paths. The cannon works as a propulsion system using the jet stream to take the pirate duck on a tour around the bath tub. The duck's feet can also come off for a different swimming pattern. 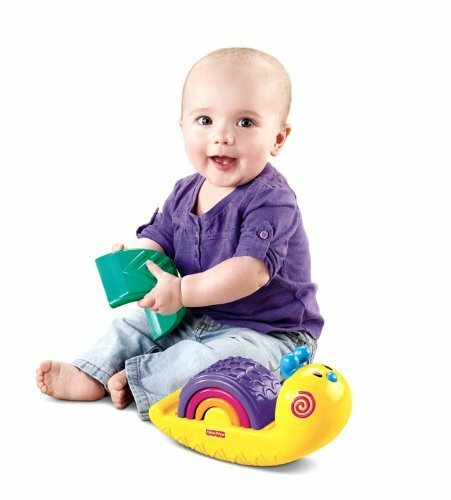 The toy is easy and fun to use and is designed with a scoop container that has drain holes to attach to any tub for convenient storage as well as keeping it mold free. Children ranging in age from 2-6 will all enjoy playing with this imaginative toy time and time again. 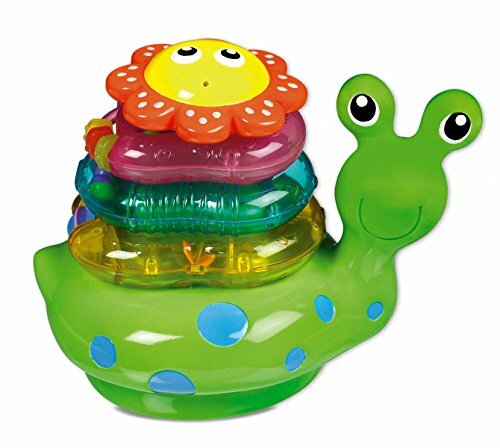 The Snail Stacker makes bath time fun time. This snail floats upright in the water. It comes with 3 stacks and sort rings with interactive toy. The inside flower doubles as a squirter makes bath time fun. 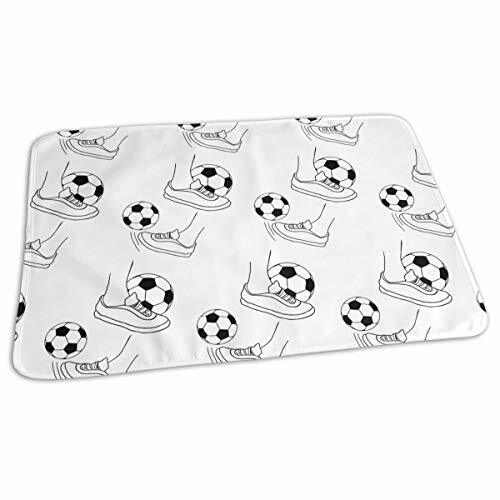 This is suitable for children of the age of 9+ months. 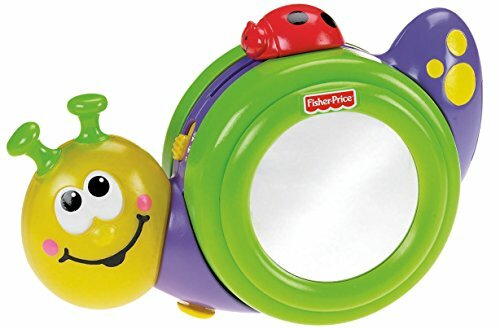 Let this friendly green snail keep your baby busy as a bee during his bath. 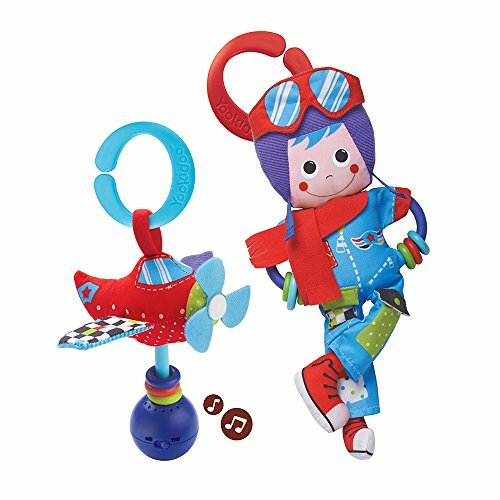 This musical monkey is the perfect playtime pal for your growing little one. From tummy time to bat-at play and crawl and Chase fun, the 1-2-3 crawl along monkey keeps playtime fresh and exciting as your baby grows! 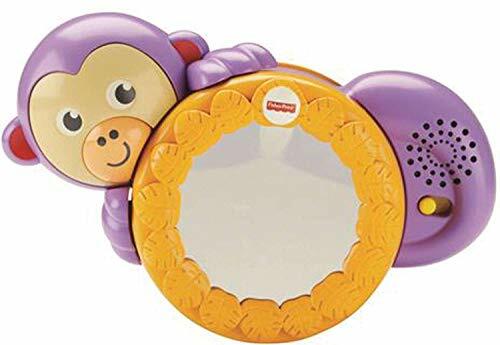 his friendly light-up face and silly sounds encourage your little monkey to keep moving and playing. Where development comes into play gross motor: little muscles get a big workout as little ones lift up to see in the mirror during tummy time or learn to crawl after the monkey. Sensory: the monkey's bright colors, mirror, fun sounds, and rolling movements excite your baby's senses. Curiosity & wonder: as babies monkey around with their new pal, they'll discover that their actions can make fun lights, sounds and motions happen—a great intro to cause & effect! 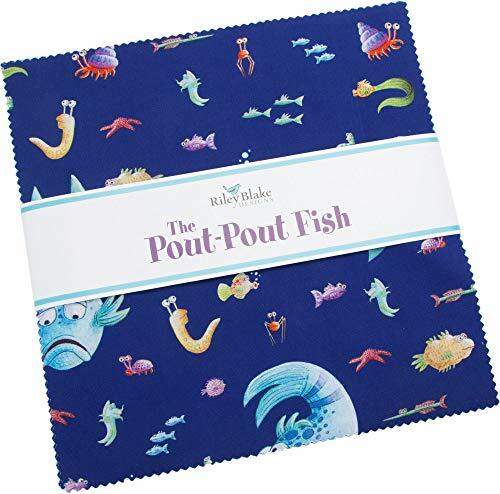 Fabric bundle of 42 10-inch squares from the The Pout Pout Fish collection by Riley Blake Designs. Turn little pouts into big smiles -- the Pout-Pout Fish has come to town! The Pout-Pout Fish books help young children in the early stages of emotional development talk about and understand their feelings. First published in 2008, there are over 35 titles in the New York Times Bestselling Pout-Pout Fish series. Swim along with the Pout-Pout Fish as he discovers that being glum and spreading "dreary wearies" isn't really his destiny. 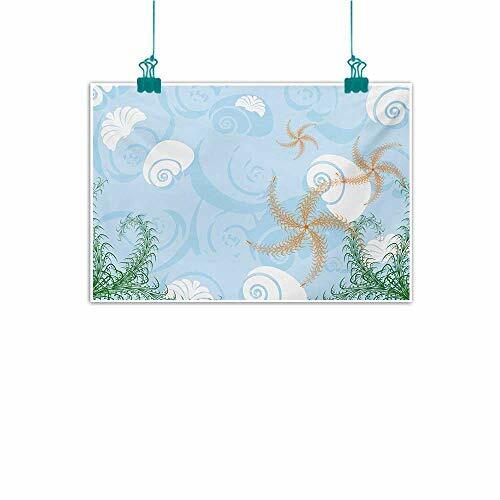 Bright ocean colors and a fun collection of fishy friends will put a smile on every child's face. 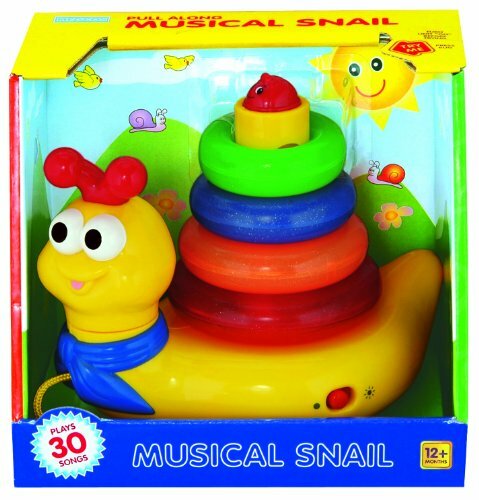 This soft plush roll up musical snail offers 8 musical note chips for enhancing the discovery of sound. 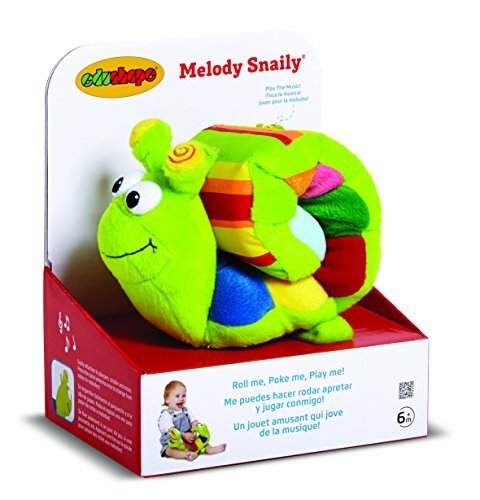 Musical snail creates a new sensory experience for babies, allowing for auditory and visual sensory development as well as building color recognition. Used as a snuggle-pal, babies build empathy and socialization skills. Easily attaches to cribs and strollers and rolls up for on-the-go fun. Stroller activity toys are the best way to keep your babies engaged and happy and parents smiling and sane. 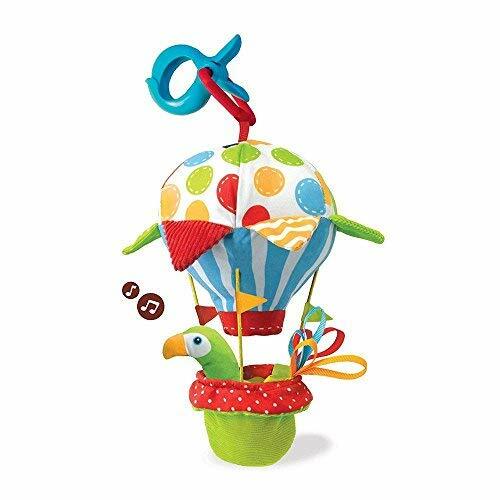 Yookidoo products are created with the child's development in mind, and this musical balloon is no exception. With multiple ways to play, multiple surfaces, and different effects and sounds, baby will stay constantly entertained (and quiet). The musical balloon can be activated by tapping, with different actions leading to different effects. Yookidoo products are created with the sensory development of a child in mind, and this stroller activity toy will expand your child's mind while keeping them entertained. 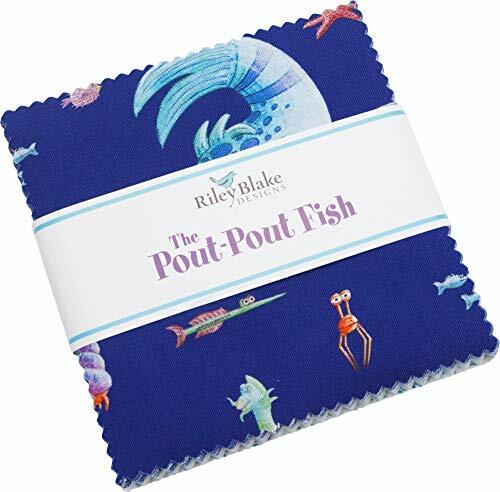 Fabric bundle of 42 5-inch squares from the The Pout Pout Fish collection by Riley Blake Designs. Turn little pouts into big smiles -- the Pout-Pout Fish has come to town! The Pout-Pout Fish books help young children in the early stages of emotional development talk about and understand their feelings. First published in 2008, there are over 35 titles in the New York Times Bestselling Pout-Pout Fish series. Swim along with the Pout-Pout Fish as he discovers that being glum and spreading "dreary wearies" isn't really his destiny. Bright ocean colors and a fun collection of fishy friends will put a smile on every child's face.